Michael Connolly, headmaster of Cranmore School, examines the purpose of prep schools. Preparatory schools, more commonly known as ‘prep schools’, were originally set up to prepare boys to take the Common Entrance Exam at age 13 for entry to traditional senior schools, many of which provided boarding. These prep schools largely had an intake of pupils at age seven and from that point on there was a focus in getting over the hurdle of the exam at age 13. In modern times, the situation is very different. First of all, whilst prep schools do continue to have a role to play in preparing children for their senior or secondary education, there is recognition for the fact that prep schools have an intrinsic worth for the quality of education they provide beyond a preparation for exams. Indeed, one could easily think that the real business of education does not get underway until children reach their teenage years. Of course, countless studies have highlighted the importance of early years’ education in its own right and it is this foundation on which everything else is built thereafter. The profile of prep schools has changed remarkably. The majority now offer some form of co-education and also admit pupils of a much younger age. In fact, it is common for them to run a nursery for pupils of age two and, in some cases, even younger! Discerning parents appreciate that an investment in their child’s education in the formative years can produce great dividends further on down the line. So if prep schools are no longer about slavishly preparing pupils for an exam at age 13, what is their real focus? The answer, of course, is to offer a very broad and rich education that gives every child a huge range of opportunities and experiences. This means that children are not chained to a desk following a narrow curriculum which is limited to numeracy and literacy. Rather, children are able to engage in an exciting and stimulating programme which allows them to develop and enhance their innate talents. 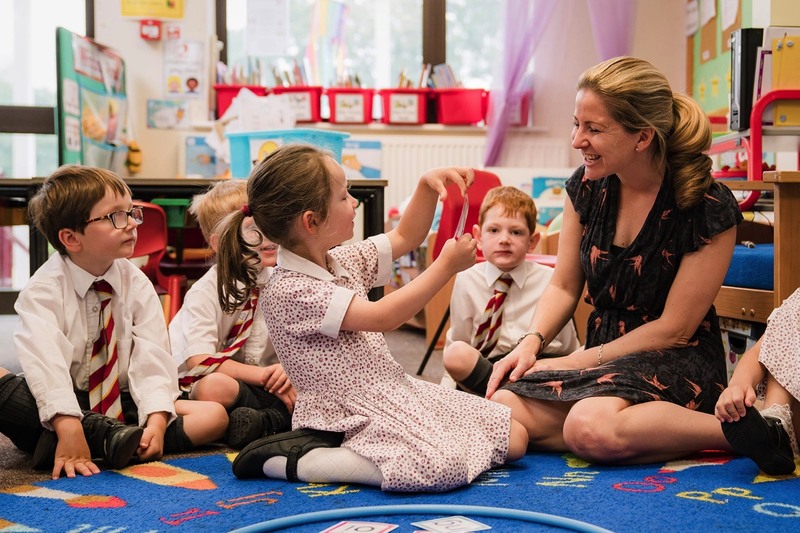 At Cranmore School, importance is given to languages which is why the children can study French, Spanish, Mandarin, Latin and Greek. We must prepare children to function in a digital age which is why we teach computer coding and robotics too. School is not simply about learning ‘stuff’, it is about teaching children how to think, which is why Philosophy is on the Cranmore curriculum. Good prep schools ensure that children have plenty of time to engage in sport and music too. Not only do these activities serve to promote individual skills, but opportunities to work with others within a sports’ team or music ensemble can have a high impact on social skills. If a prep school has done its job properly, pupils will enter into adolescence with a love of learning and have the confidence to benefit from the next stage of their education in senior school. It is this strong foundation in prep school which can carry young learners through secondary education and on into higher education.